Hoover Fence Chain Link Homerun / Outfield Fencing Kits | Hoover Fence Co. Entire chain link homerun fence kits ready to install for baseball and softball fields. You add the manpower and save money. 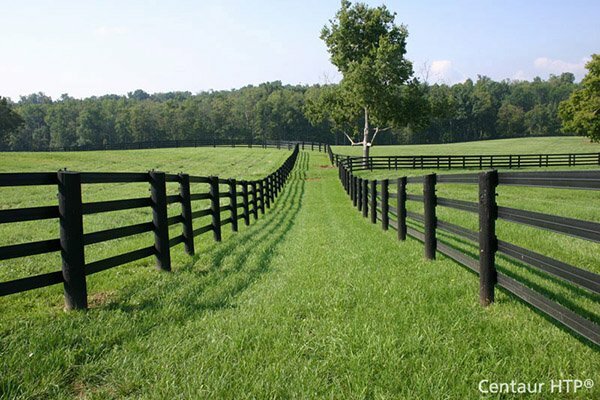 We supply all the materials you will need for the homerun fence except the tools, concrete, and muscle power. These homerun fence kits are designed to compliment our line of backstops and sideline fence kits, but may be installed by themselves where fields already have backstops. Homerun fence kits are available in a 4' height and 6' height and are made entirely of high quality commercial grade materials. Kits ship complete. Each kit includes all 2-1/2" diameter HF40 terminal posts, 2" diameter HF40 line posts, and 1-5/8" diameter HF20 top rail. 400' of 9 gauge galvanized chain link is also included. All fittings to attach chain link fence to terminal and line posts and rail are included. Various other sizes available upon request.